Look, we all know I am no beauty blogger! But hey, guess what? I was recently selected as a Top 30 Most Interesting Running Blog. Yeah, I think they might have made a mistake too. You can read the article here. 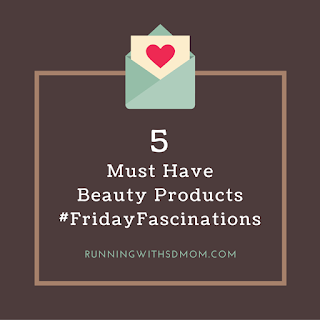 That said, I am telling you about my 5 MUST HAVE, cannot live without products I use on a daily basis. I was not sent any of them for free. They are completely purchased by me for cash money and I will continue buying them because I love them! Okay, I started with this one because May is Skin Cancer Awareness month and second, because mangos are my favorite fruit and this one smells EXACTLY like a fresh mango. It is not greasy or heavy and it is perfect on the skin. I wear it on my face! It is not cheap and retails at $32. But there are codes out there. You can get it at DermaStore for 20% off with code memorial. I recently made the switch to Native deodorant because I was done with using heavy chemical and artificial ingredient laden deodorant. And when my daughter is ready to wear deodorant, I want her to wear an all natural one like Native because of breast cancer in my husband's side of the family. Ingredients like coconut oil and shea butter sound a heck of a lot better to me then paragons and aluminum. You all know how much I love my Trader Joe's. Well, this is hands down my favorite Trader Joe's product. It smells amazing and leaves your skin silky soft after a shower. I keep saying I want to do a giveaway of my favorite TJ products and this would be at the top of my list! Another product I use every single day. My face feels tingly and clean once I use this product. Be careful though - DON'T get it in your eyes! Danger! I feel like it gets all the impurities out and it is pretty awesome! My hairdresser told me about this product after I complained about my dry thick hair for the 87 millionth time! It smells fantastic and leaves your hair feeling soft. It isn't very expensive and I order mine from Amazon. A giant bottle is only $23! I order everything from Amazon! Haha! Or Trader Joe's! 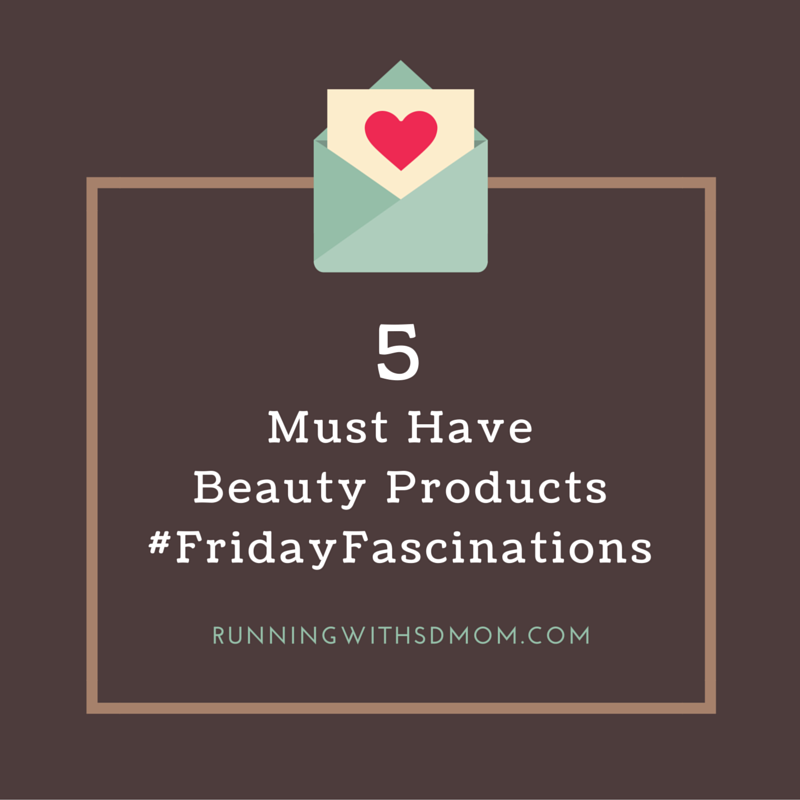 So tell me about your must have and can't live without beauty product! Have you ever tried one of the above? I might have to try that TJ's face wash! It is good stuff but watch the eyes! Mango sunscreen?? That sounds amazing! My devacurls lo poo shampoo! I love the Trader Joe's Spa products. I just love Trader Joe's for everything! The best for all things! Congrats, that's awesome you were featured! I've been to Trader Joe's... once... ack! I think I'm the only person on the planet who doesn't religiously shop there. Haha. Is there one close to your house? I'm always looking for new things to try. Thanks for sharing! I think I'll check out the Native deodorant and I've never really looked at the beauty products at Trader Joes. I'll check out that face wash. I love TJs for all things! Smitha now I have to go shopping. I'm going to order the deodorant and shampoo. Thanks! OOH let me know what you think! I won't even tell you what I spend on my shampoo and conditioner. But it's worth every penny since my hair is smooth after I use it. Now I want to know what kind you use! I'm looking to switch my deodorant but concerned about the lack of antiperspirant...what do you think about that part of it? The anti-perspirant is missing but you can't tell. I am dealing with the scent part of it right now. Smitha, hi! I'm Katie and I came across your blog on Jill Conyers Link up just a few minutes ago. I saw "SD" and I figured it was either San Diego or South Dakota (I live in San Diego:-) so I clicked on your post. It's wonderful seeing another healthy/fitness blogger in San Diego. I love your deodorant suggestion. I am slowly making the switch to natural toiletries after doing a series of posts on all the chemicals and other caca lurking in our products. The only natural deodorant I've ever used before was my friends rock salt deodorant. I was not a fan. Anywho, I'll have to go grab me a stick of Native! The beauty product I can't live without are the acne wipes I use after I work out, after rehearsals, class, etc. I always figured once I got past a certain age, I'd stop having breakouts. Well! They not only hung around, the breakouts started migrating to my chest as well as my back. Whaaaaa? Using those wipes shortly after working up a sweat seem to keep the breakouts somewhat under control. And since those face wipes are frickin' expensive, I've started making my own for pennies per wipe. Ok, one more thing and then I'll shut up...Congratulations on having a top 30 running blog! That is fantastic!!! Whoohooo! Thanks for all the recommendations. I am in the market for a new face wash and we are always at Trader Joe's. I'll have to pick one up next time I'm there. I've also been wanting to switch to a new deodorant. I've tried Tom's but I didn't quite like it, so I went back to another brand that I can't remember. Now I can totally feel all the chemicals, makes my skin feel rubbery. I love that we can start our kids off on something more natural. I've heard recommendations to cleanse before switching to a more natural deodorant for better results. Thanks again for sharing. I feel like how I smell is 100% dependent on what I eat so that makes sense!